As I ponder the most significant day in history for most Christians, my heart leaps at the thought that my God’s not dead, but instead lives on in resurrected victory. 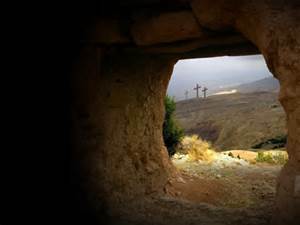 The grave could not keep Him, sin had no power over Him – He is risen! Jesus truly is “the way , the truth, and the life” (John 14:6), and by His death , burial, and resurrection Jesus created a way to the Father. The Bible teaches that we were also crucified with Christ (Galatians 2:20), died with Christ (Romans 6:8), were buried with Christ (Romans 6:4), made alive with Christ (Ephesians 2:5), and raised up with Christ (Ephesians 2:6). It is in our resurrection with Christ that we are to be a “new creation” – “Therefore, if anyone is in Christ, he is a new creation. The old has passed away; behold, the new has come.” (2 Corinthians 5:17). We were connected to Jesus at the cross because of our sin. Just as Jesus was buried, so should we bury our sin. In His resurrection Jesus rose up free from our sins, so too should we flee from our former sins. But we can’t do it alone. That’s why Jesus sent the Holy Spirit. Just as the Holy Spirit walks alongside us (para) convicting us of our sin prior to our conversion, and dwells in us at the time of our salvation (en), He also flows from us (epi) as we walk in Christ. I believe that we need to pray daily for a filling of the Holy Spirit since, to quote D.L. Moody, “I leak”. That, I believe, is the humble beginning to living a resurrected life – prayer. Pray daily for the strength, wisdom, grace, mercy, and love that our Saviour Jesus Christ lived every day in His life here on earth. Then pray for a fresh filling of the Holy Spirit, and I believe you’ll find the building blocks of living a resurrected life. “13That very day two of them were going to a village named Emmaus, about seven miles from Jerusalem, 14 and they were talking with each other about all these things that had happened. 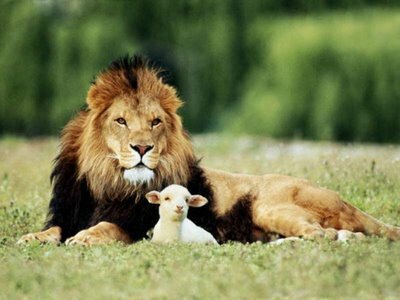 Just two plain old ordinary followers of Jesus, just like you and me. 15 While they were talking and discussing together, Jesus himself drew near and went with them. 16 But their eyes were kept from recognizing him. Isn’t it interesting how our situations or problems blind us and keep us from seeing what is most important? Sometimes we let our situations so overwhelm us that we don’t even realize Jesus is still there, walking with us. Even though Jesus knows our very heart, he still wants to have a relationship with us, a dialog with us, and looks forward to hearing our concerns. 25 And he said to them, “O foolish ones, and slow of heart to believe all that the prophets have spoken! 26 Was it not necessary that the Christ should suffer these things and enter into his glory?” 27 And beginning with Moses and all the Prophets, he interpreted to them in all the Scriptures the things concerning himself. Jesus knows what’s best for us, even if that means correction. His desire is for us to know him, not just know of him. 28 So they drew near to the village to which they were going. He acted as if he were going farther, 29 but they urged him strongly, saying, “Stay with us, for it is toward evening and the day is now far spent.” So he went in to stay with them. The Lord will never force himself on you – He waits for your invitation. Jesus left their sight, but not their hearts. If you are on the road to Emmaus today I pray you will remember that we worship a King who is risen, who desires you to open your eyes and heart to Him. Happy Resurrection Day!